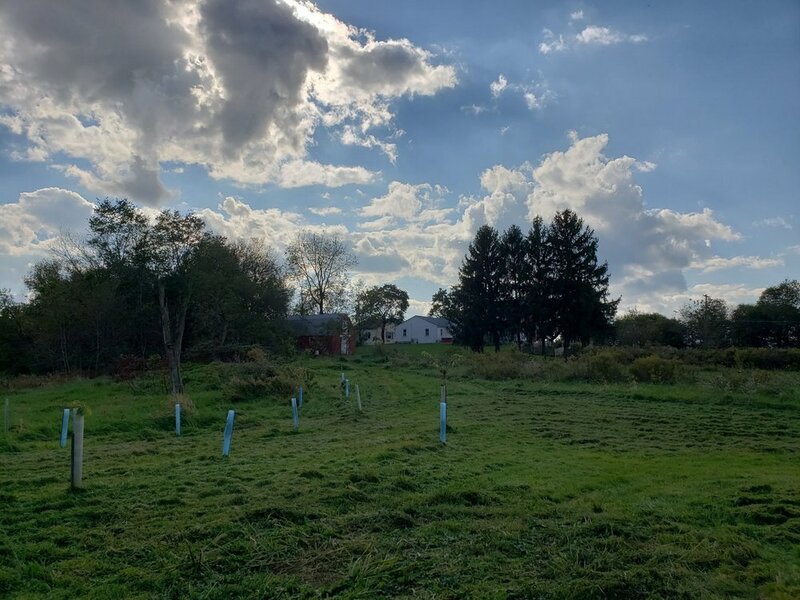 Mowing our fields is one of my favorite chores to do at Marsh Farm. Mowing the fields is my domain because I know what plants I want to keep and which I want to keep in check. When we first moved here and I walked the fields I pictured letting them go to meadow. After a year or so I realized we would have to mow more than I wanted to control invasives (more on those later). Now I mow every few weeks through the thistle season and then I mow certain places for our Squish your Squash party. Since I have all this quality time on the mower I have lots of thoughts, and it struck me today that I would like to share some of those. Today I was really struck by my gratitude for this time on the mower. It makes me feel close to our plot of land and helps give me a sense of place. It gives me time to really pay attention to this special spot. I get a chance to observe the seasonal changes in the field that I might miss otherwise. Right now it’s fall and the goldenrod and asters are beautiful. It’s as though the field is aflame with a golden light. I know that these native plants are giving fall insects a place to find food and shelter. I feel like I’m doing my part to help these critters and I get the bonus of beautiful fields. Today I also got the bonus of finding more pumpkins from our Squish your Squash party pumpkin patch (that’s a mouthful). I also found an amazing yard treasure and mystery. 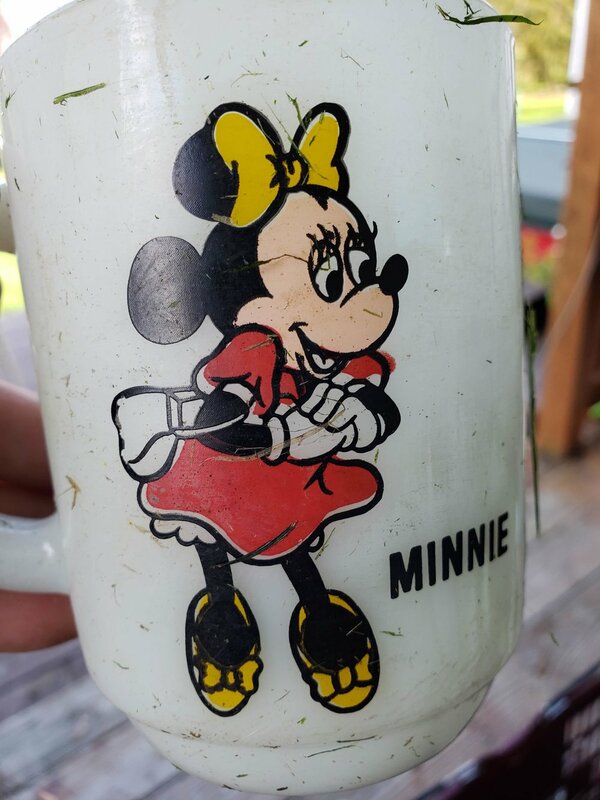 As I was mowing I heard a thump and looked back and saw that I had uncovered a white minnie mouse mug. I’ve mowed over that spot so many times and I have never run over it before. It showed no signs that it had been buried and was in fairly good shape. I have no idea how it got there but it was a fun find. Overall it was a great day for mower thoughts and I hope you enjoy them.